Anchor 4 Ply Tapestry Wool is ideal for Tapestry, Bargello and Jacobean embroidery and are available in 10m Skeins in 475 color balanced and co-ordinated shades. Manufactured from 100% Pure New Wool and used extensively worldwide by tapestry and needlepoint enthusiasts. Anchor 4 Ply Tapestry Wool is a very high quality, color fast product tightly twisted and moth proofed for the minimum of fraying while you work. 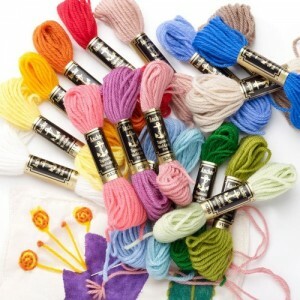 Needle size recommended is a Size 18 Tapestry Needle for canvas or tapestry work. For a more modern look, experiment with a combination of threads and textures. Using matching colors in different mediums lets you introduce texture into your work.